Nestled in the foothills of North Georgia lies Carter's Lake. An Army Corps of Engineers facility, the 3200 acre lake offers stunning views and great options for boating, fishing or easy hiking. There are two campgrounds at the lake and both take advantage of the 62 miles of shoreline. Woodring has many of its 40+ sites directly on the water. We really liked the quiet setting though Carterville, Ellijay and Blue Ridge are close enough for a day excursion. There is a second campground on the Lake run by the Corps, Doll Mountain. 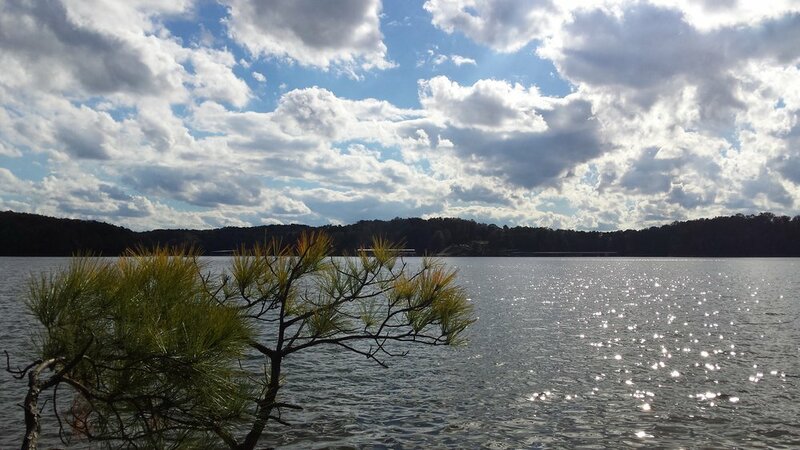 Just 70 miles north of Atlanta, Carter's Lake is a great getaway location within easy reach for city dwellers. Take I-75 North from Atlanta then take US 411 North in Cartersville (Exit 293). Follow US 411 to US 76 East, then Woodring Branch Road to the campground. Lovely Carter's Lake is a 3200 acre Corps of Engineers facility. With 62 miles of shoreline, there are stunning views of the foothills over the water. The lake accommodates boating, fishing and swimming at designated beach areas. There is also a 3.5 mile hiking trail perfect for beginning hikers. 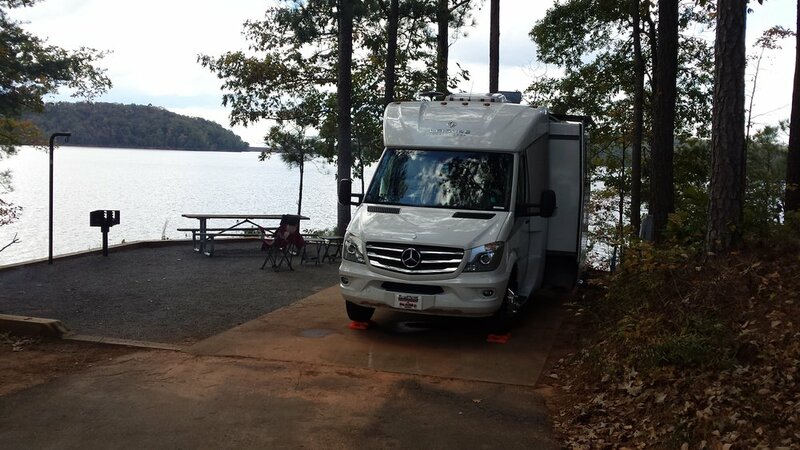 Perched on the edge of Carter's Lake in North Georgia, the campsites at Woodring Campground have stunning views of the water. There are 40 sites, 28 of which have electricity and water. The remining sites are "tent only". Reservations are site-specific, so you can choose your view. There are clean shower facilities and a dump station within the park. Each site has a concrete pad, picnic table and fire ring. The campground is not open in the winter months, so check before you go! Reservations can be made on the Carter's Lake- Woodring webpage which is linked to the Reserve America booking engine.